Pictured from left: Alpin Haus RV of Saratoga General Sales Manager Jonathan Baker; Alpin Haus Director of RV and Boat Sales David Baker; Alpin Haus President Andy Heck; and Alpin Haus Vice President of Marketing Katie Osborn. WILTON, NY, – Alpin Haus, one of the Northeast’s largest outdoor recreation retailers, today celebrated the grand opening of its newly expanded Saratoga County RV sales facility. 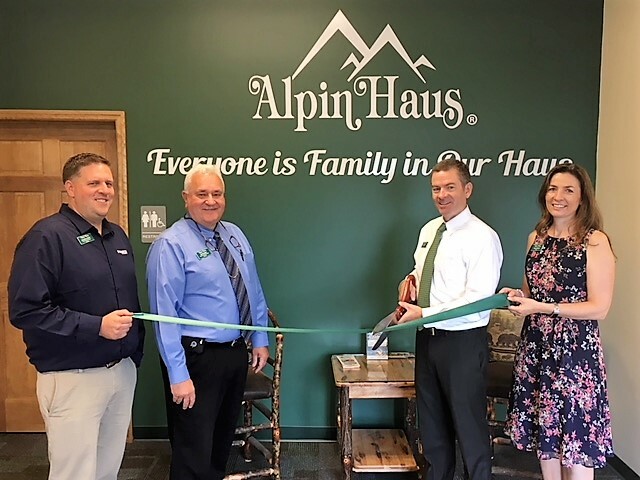 The grand opening is the culmination of a multi-year project which transformed the dealership and created a brand new sales office and customer lounge at Alpin Haus RV of Saratoga. 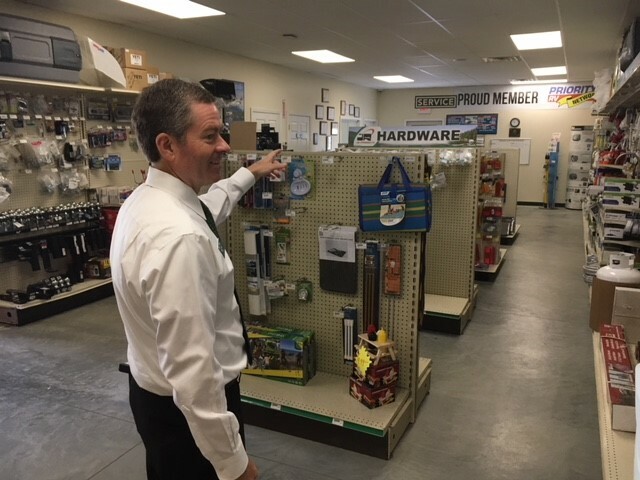 The expansion adds 3,600-square-feet of space to the northern Saratoga County facility and features new service bays, a new parts and accessories store, and a redesigned sales lot designed to create more space for customers to browse the latest recreational vehicles and campers. Alpin Haus expects to hire 12 new employees as a result of the expansion. 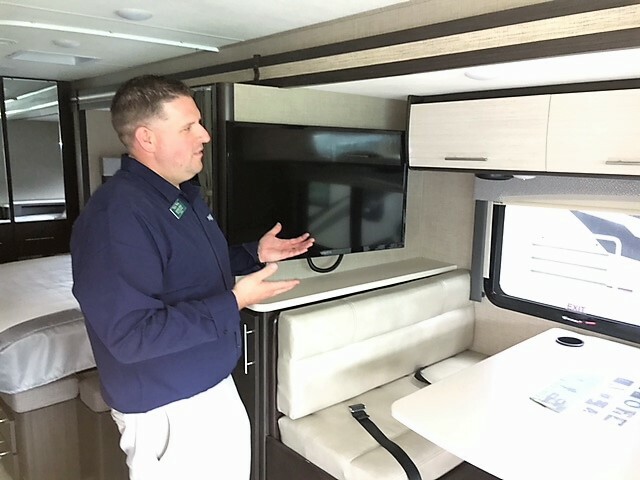 The expansion reflects the significant increase in recreational vehicle sales that Alpin Haus has experienced over the past several years. Since 2014, the sale of motorized recreational vehicles and tow-behind campers at Alpin Haus has grown by 68 percent. Alpin Haus RV of Saratoga sells and services new and used RVs, travel trailers, fifth wheels, and Class A, B and C motorhomes. The Alpin Haus service team conducts all installations and technical work on the parts and merchandise purchased on-site. Alpin Haus has been named one of the “Top 50 RV Dealers in North America” by RVBusiness magazine. In addition to its Saratoga County sales facility, Alpin Haus operates RV sales locations in Amsterdam and Port Jervis, NY. Alpin Haus RV of Saratoga is located at 30 Gordon Lane in Gansevoort, N.Y. Operating hours are 9 a.m. to 5 p.m. Monday through Friday; 9 a.m. to 4 p.m. on Saturday; and 11 a.m. to 4 p.m. on Sunday. For more information, call Alpin Haus RV of Saratoga at 518-226-8000 or visit www.alpinhausrv.com. For more than 50 years in the Capital Region and Hudson Valley, Alpin Haus has grown into an outdoor recreation powerhouse with five store locations in Amsterdam, Saratoga, Clifton Park and Port Jervis, featuring a full-line of RVs, snowmobiles, skis, boats, pools, and spas. Alpin Haus is one of America’s largest RV dealers and has received the Caldera Spas Best Showroom Design Award; Caldera Spa’s Best New Dealer of the Year; Snow Sports Retailer of the Year; National Top Quality RV Dealer of the Year; Ski-Doo District Dealer of the Year; and has been selected multiple times as one of the Best Places to Work by Capital District Business Review. For more information, visit www.alpinhaus.com.